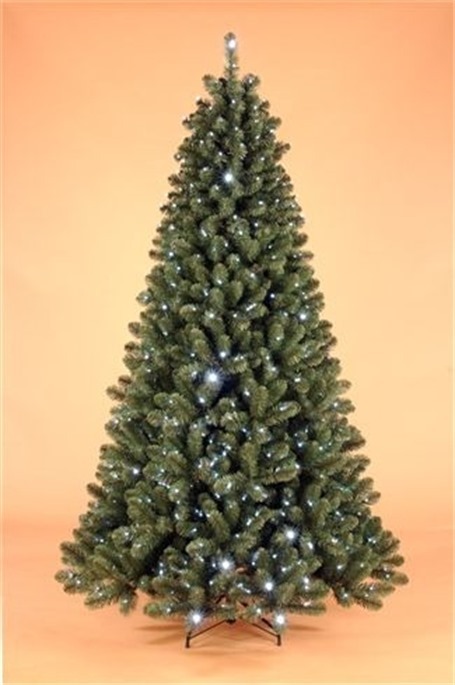 This is a beautiful compact pre lit tree .The 7ft tree has 244 led lights which can be switched from warm white to co and the 9ft tree has 424 led lights .We use warm white leds which give a light similar to traditional christmas tree lights.Leds have a very long life up to 50,000 hours if one fails the rest continue to light. Specifications 7ft tree is hook on construction 866 tips 244 warm white low voltage led light.The 9ft tree is hook on construction 1688 tips 424 warm white low voltage led lights Price includes vat and delivery to all parts of Ireland for overseas orders please call 00353872563032. ON VIEW IN OUR SHOWROOM ON MAIN STREET ( NEXT DOOR TO THE CHURCH ) IN DUNDRUM DUBLIN 14 OPEN EVERY DAY FROM 1st November 2018. 5ft tips 386, led lights120 warm white . 9ft tips 1688, led lights 424 warmwhite.